Convert HD videos available with Apple TV, PS3, Xbox360, iPad, iPod, iPhone, PSP, Android phones, etc. If you happen to be a big high definition movie fans, you should not miss this mediAvatar HD Video Converter for Mac, which makes it feasible to play any popular HD videos via HD devices. With great support for all popular high definition and standard definition video formats, this HD video converter Mac can convert videos (HD H.264/MPEG-4 AVC, AVCHD (*.m2ts, *.mts), MKV, HD WMV, MPEG2 TS HD, MPEG-4 TS HD, HD AVI, MPEG-4, WMV, DivX, H.264/AVC, etc.) from HD to HD, HD to SD, SD to HD and SD to SD. Furthermore, you can also extract audio from video, convert between audio formats and capture movie images in batches using this Mac HD video converter. 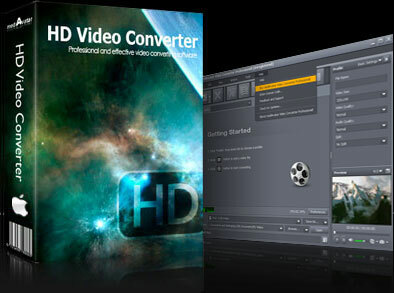 Enjoy the gorgeous HD movies, come to download this mediAvatar HD Video Converter Mac for FREE now! Convert HD videos (HD AVI, AVCHD, MTS, M2TS, H.264/AVC, HD MPEG4 TS, HD MPEG2 TS, HD WMV, HD Quick Time, etc.) to Apple TV HD H.264, Xbox360 HD DivX, HD XviD, HD MPEG2 PS, HD MPEG4 TS, HD WMV, PS3 HD videos; convert HD to SD videos; convert between common SD videos (MKV, AVI, MPEG, MP4, WMV, MOV, H.264, DivX, XviD, RM, FLV, etc.). This Mac HD video converter is also a HD to audio converter for Mac users that can extract audio from HD/SD videos and convert between audio formats. This HD video converter for Mac allows you to set the capture interval and video clip to capture images from HD movies in batches. All the output formats have been classified by the device for quick search and the HD converter assembles HD video formats in a group for you to choose at your convenience. Diverse parameters for video, audio and picture profiles can be easily and freely customized for both novices and advanced users. You can save the profile whose parameters have been customized for future use. Save time by setting several different output formats from one file and convert simultaneously. Set a specified file size by letting the bit rate calculator do the job for you. Any segment can be converted by setting start time and duration. Or split a file into several ones by customizing the file size or split time with the HD Video Converter. The MTS/M2TS/TS HD converter supports multithreading and batch file conversion to cut back on the conversion time. The built-in player enables users to preview videos, and take snapshots of select video scenes and save them as picture files.